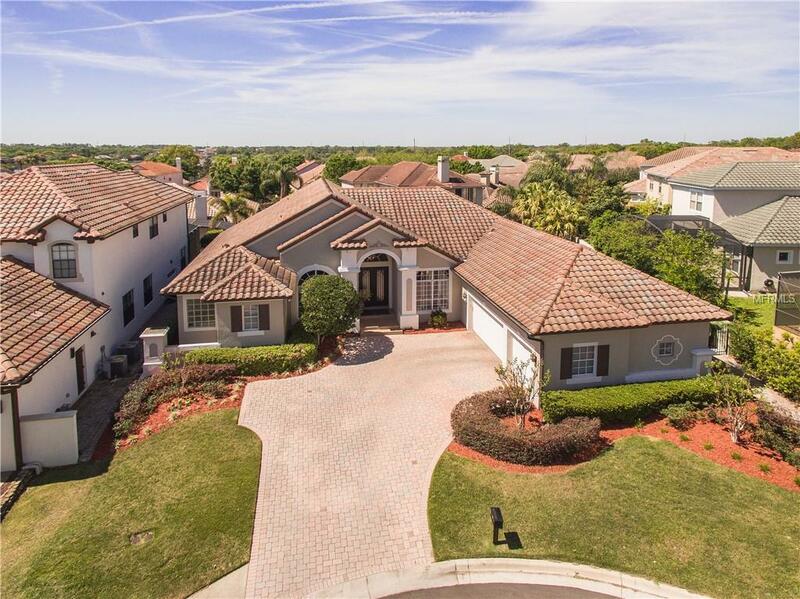 Impressive Single Story, 4 Bed, 3 Bath, Plus Office, Pool Home located on a Private Cul-de-sac in the Guard Gated community of Vizcaya. 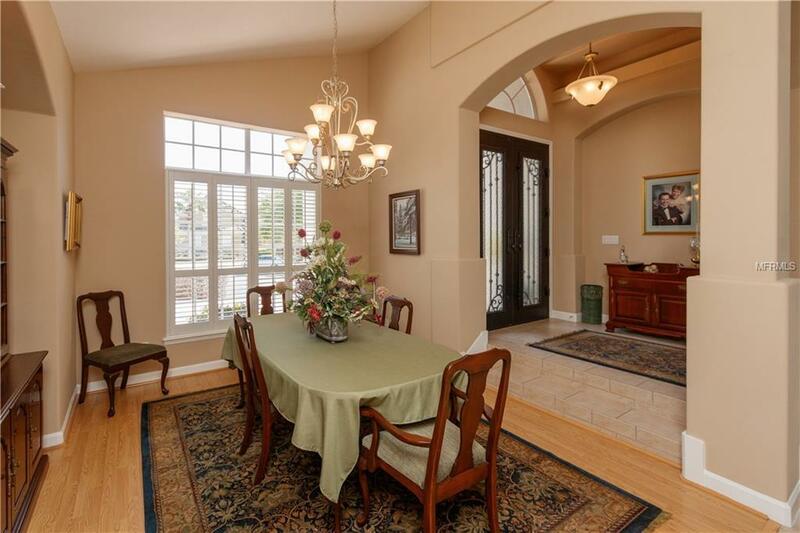 This Immaculate Custom Home has been meticulously cared for and is move-in ready. 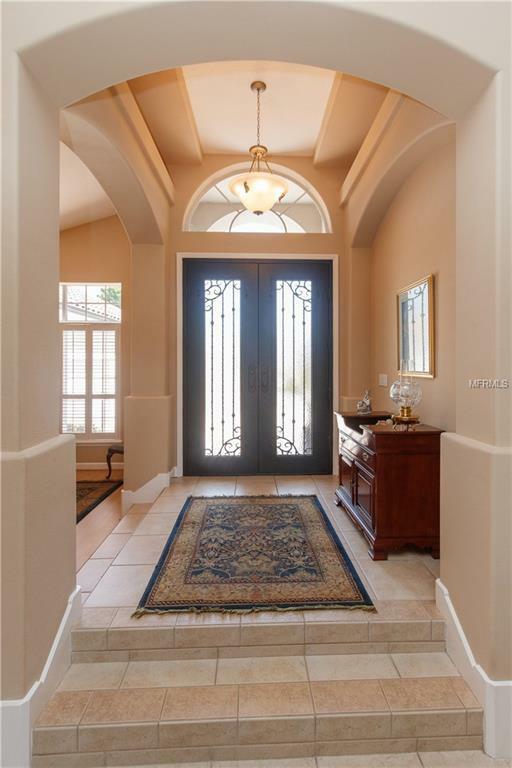 Hand Forged Iron Front Door with waterfall glass Welcomes you upon entering and leads to the spacious Dining & Family Rooms complete with Ceramic Tile, Built-in niches, Plantation Shutters and Sunburst Architectural Windows. Tasteful appointments were selected throughout to accentuate the open floor plan and capture the natural outdoor views. Master Suite includes a separate sitting area and Spacious Master Bath offers dual vanities, soaking tub and walk-in shower. Three bedrooms on the opposite side of the home are highlighted with large closets and spacious rooms. Open and airy Kitchen with Stainless appliances, Walk-in pantry, Corian counters and 42 solid wood cabinets flow naturally into the Morning Room which overlooks the expansive Pool and Paved Lanai. Sparkling Pool was recently resurfaced and is surrounded by mature flowering trees and succulents. Outdoor Living area with fabulous Summer Kitchen was designed for the Grill Master and perfect for relaxed entertaining offering a Gas Grill with Thatch Roof and Retractable Sun Screen and generous dining spaces. Separate open-air patio is the perfect spot for a fire pit or al fresco dining and showcases the Rose Garden and Lush landscaping. Additional features include Paved Driveway, 3-Car Garage, Extra Storage & Built-in Work Station. Listing provided courtesy of Realty Executives Central Fl.